I also love the looks of PCK, I would think that both CBG and ACE are the same as they did a lot of sharing and worked together. How many money it cost, @Craigson15? Couple pics of a pure Malawi I just finished going in a jar today. My Malawi is 26 days in to flower, 5' high and looks to be quite the producer. How bout taste n psicoactivy, @LED_Seedz? Is it from any seed bank? 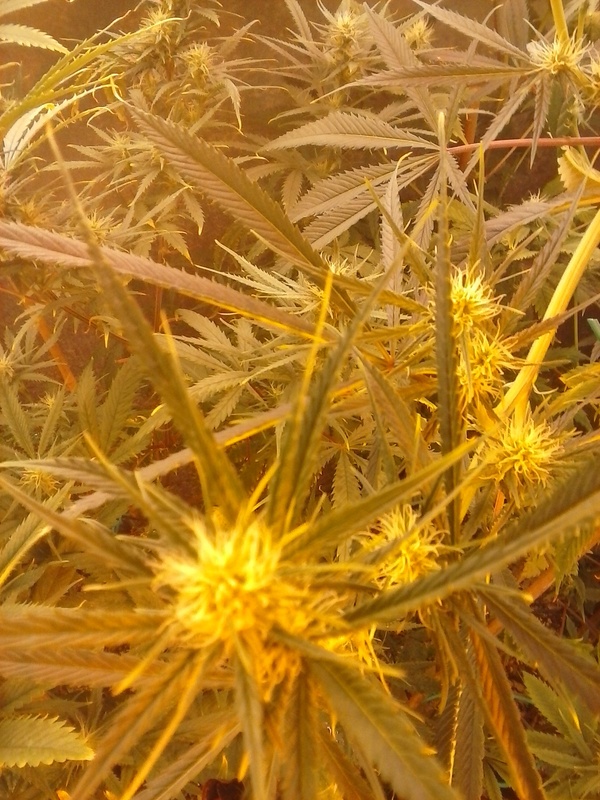 P4 landrace from Malawi, Central Africa. Old killer Malawi x 3rd generation New Malawi Killer. Ace seeds. Ace describes it as: Extraordinarily powerful, intense and psychedelic, with more than 4 hours of duration. Only recommended for hard and experienced users. I agree, it's pretty outrageous. Not something to sit around on at all. Picked up some Honduran Landrace off an island last month when I was there. 6 months to a harvest though. I'm at Lat 45 so I might just make it. Crossing my fingers. Yes! Paranoi-inducing, truly hallucinogentic NLD varieties are what's missing in today's saturated market of stupid heavy stones! Picked up some Honduran Landrace off an island last month when I was there. Excuse , da ya mean ya picked it in a Honduras island? Inna Caribbean "cayo" (key?) da ya mean? Beatifull... Maybe is in "Islas de la Bahía"... Isent it a Garifona's región, @Tycho? is hindu kush considered a landrace or maybe an heirloom? Landraces are originating in a native region whereas heirlooms are removed from the native region and reproduce in a new place. I actually didn't know the difference between "landrace" and "heirloom" until I look for the definitions. What I knew as landrace seeds were actually heirloom seed hahaha. If we are not getting from Hindu in Afghanistan or Pakistan, I think it refers to heirloom. I thought heirloom was naturally pollinated?